All-You-Can-Eat-And-Drink for one hour prior to the game (6:05-7:05 for a 7:05 start). Food and beverage options include unlimited ballpark food, soda and water. There are three different 7-game pack options to choose from for the 2015 season. If you have already purchased a 7-game package, please select which of the three options you are most interested in. 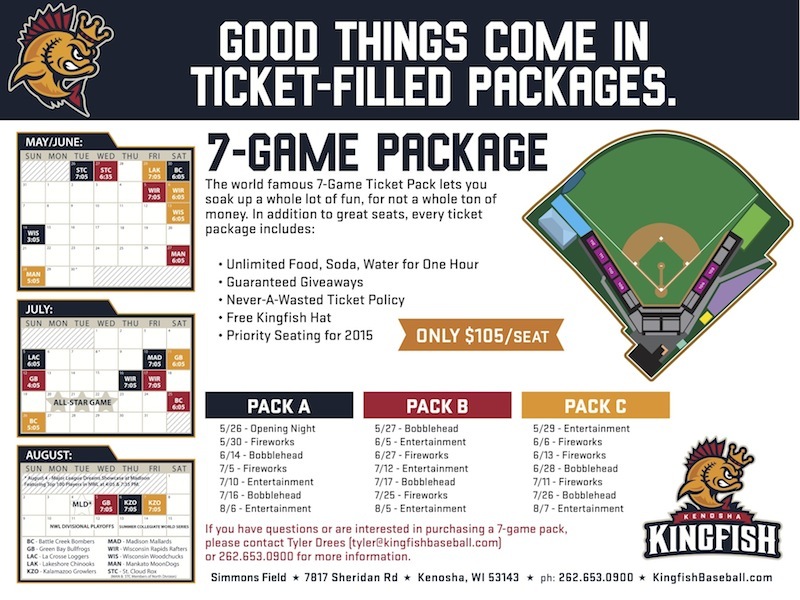 For more information please contact Tyler Drees (tyler@kingfishbaseball.com) at 262-653-0900.